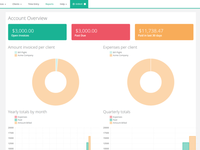 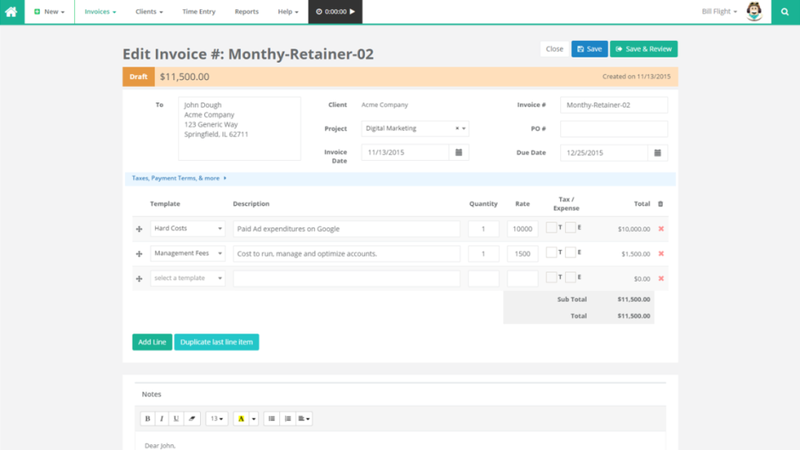 Bill Flight is the ideal invoicing solution for freelancers and small businesses. 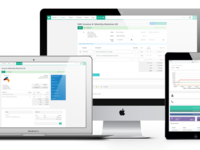 It's simple-to-use interface and powerful functionalities make it perfect for accountants and non-accountants alike. 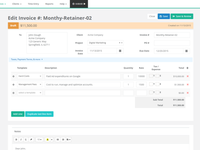 Four different plan options are available. 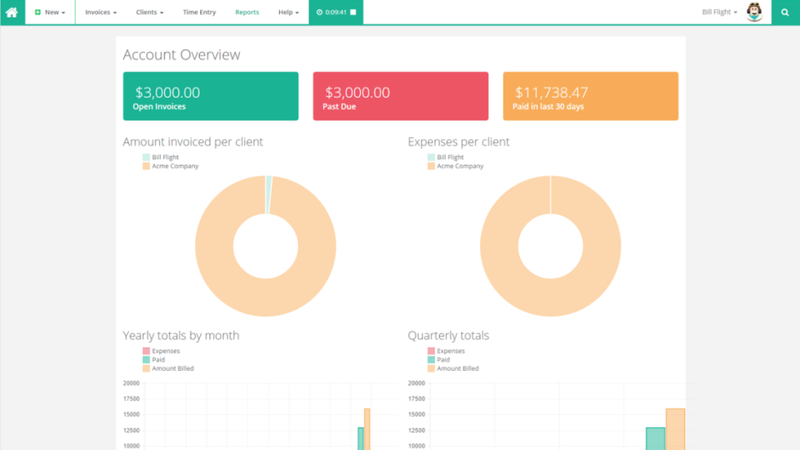 All plans are under $10/mo. 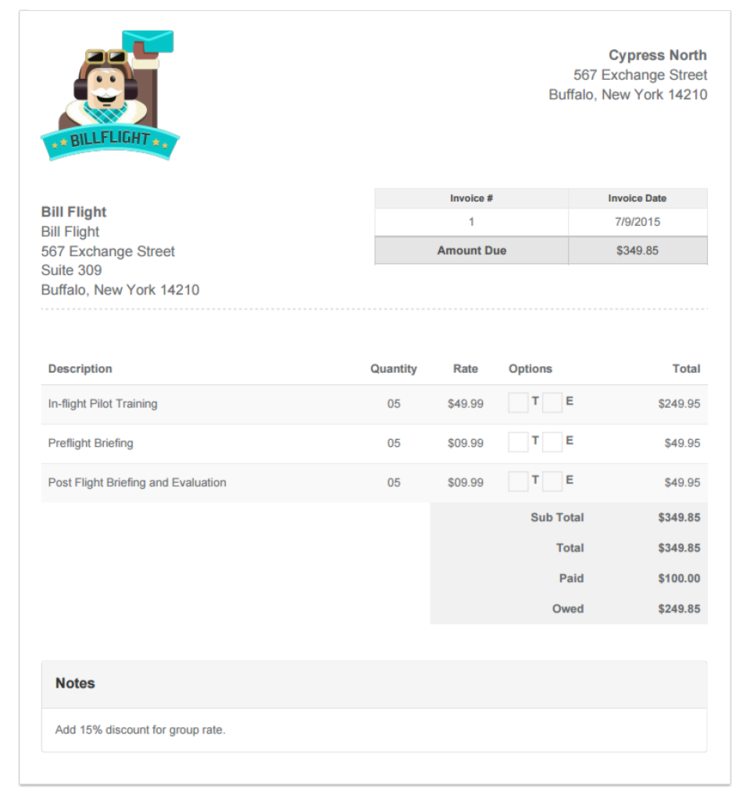 Bill Flight is simple to use, yet powerful invoicing software that has everything needed for a seamless invoicing process. 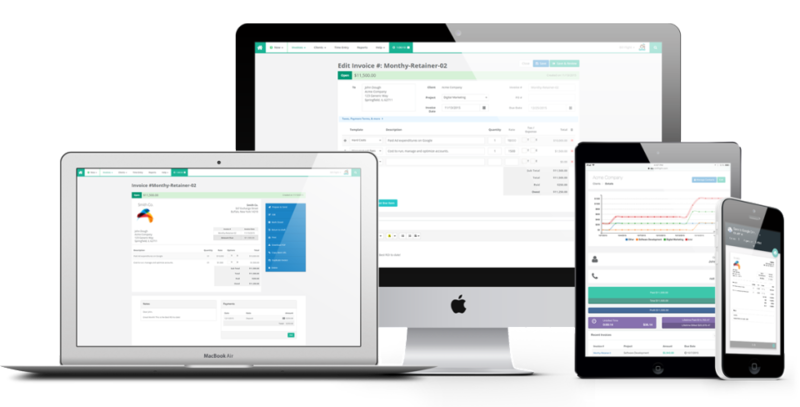 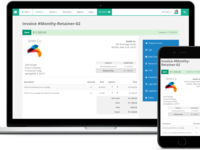 From time tracking and invoice creation, to detailed reporting and emailing out the invoices, everything can be done all from one platform. 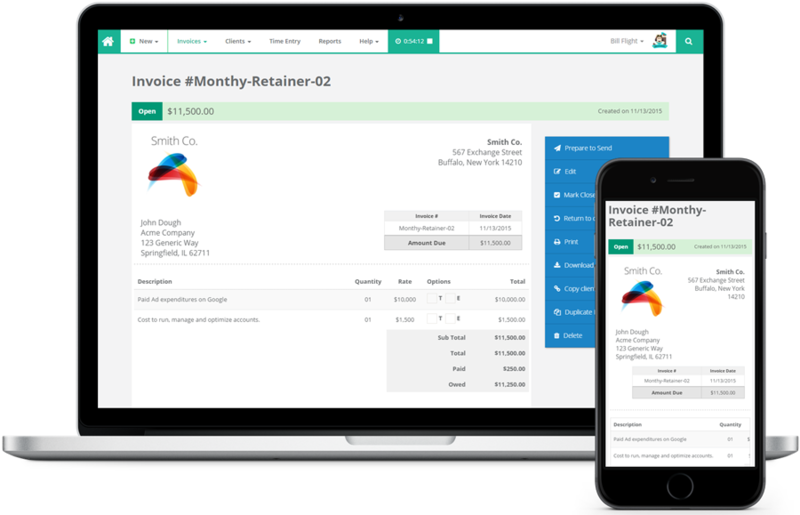 Since it only requires an internet connection to use, invoicing can be done from anywhere, with any device!